What’s a poet without a Merch Table? As I develop items for sale, you’ll find them here, so stop by to browse from time to time! 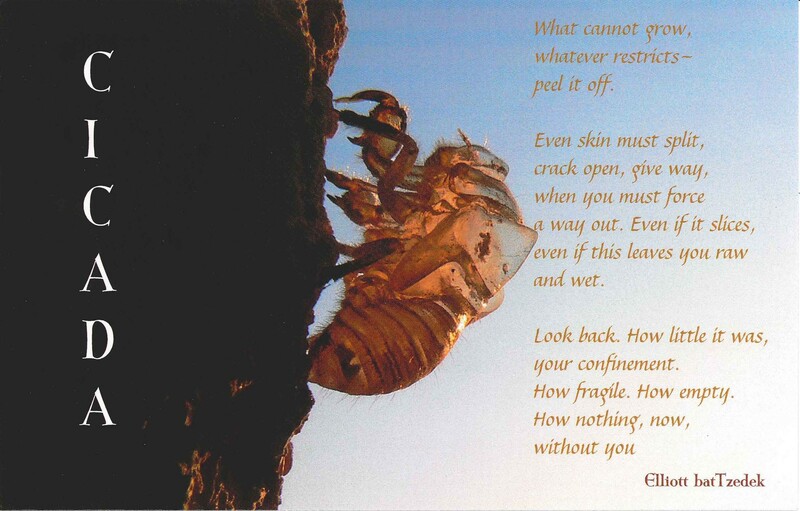 “Cicada Poem Card.” These 8 1/2 by 5 1/2 double-sided glossy cards are $5.00 each. Orders of up to 3 will be shipped in an envelope, with postage included in the price. For more than three, contact me for bulk pricing and shipping information. 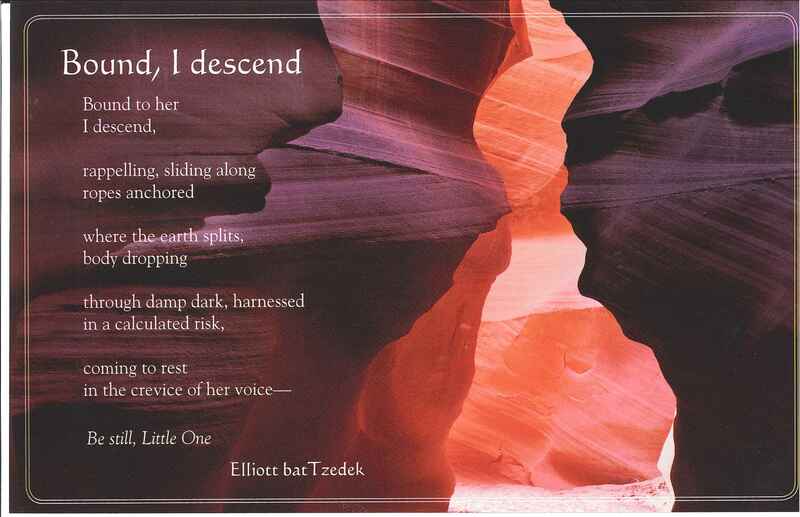 The Poem Card for “Bound, I Descend” is also available matted and framed. Information coming soon. The items I’m selling directly must be purchased via the PayPal “Donate” button, for WordPress has no way to sell directly. When you are ready to buy, use the donate button to send the payment, then use the “contact me” space to tell me what you ordered and where you want me to mail it. It’s easier than it sounds, really!